Caramelized Onion Dip – Every great party needs a great dip. 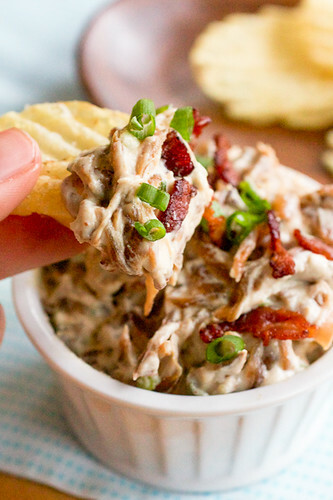 This homemade caramelized onion dip – with bacon and scallions! – IS IT. If you’re having a party and inviting me to it, please, don’t sit me next to the onion dip. I swear, onion dip is my diet-busting downfall. And to be brutally honest, I don’t care if it’s made with a package of dry soup mix or it’s plopped into a bowl from a container from the dairy aisle. It’s really the cold and creamy sour cream that makes onion dip so addicting for me. But this homemade version is a little different. Well, I guess it’s lot different since it’s a bacon, scallion, and caramelized onion dip and not made from a package. Plus?! 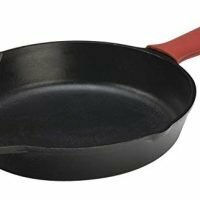 Yup – bacon and caramelized onions? Sign.me.up!!! I showed you how to make caramelized onions a few weeks ago and this dip recipe was the primary reason why I wanted to finally get my caramelized onions right. When they are the star of a dish, they had better be right! So you’re going to want to take your time in making these onions. They’ll take about 45 minutes to cook down. But, they’ll keep well in the fridge for a couple of days if you want to make them ahead of time. Or, you could also make the whole dip a few days ahead of when you’ll need it. 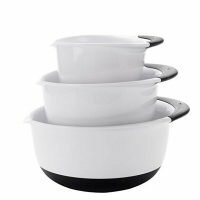 This will also allow all of those delicious dip flavors to meld together. YUM!! You’ll use a batch of those caramelized onions and mix them up with some crumbled baaaaacon, scallions, sour cream, cider vinegar, and cayenne pepper. Homemade caramelized onion dip – done and done! And yeah, you’re gonna have to keep me away from this dip too. It’s dangerous!! Every great party needs a great dip. 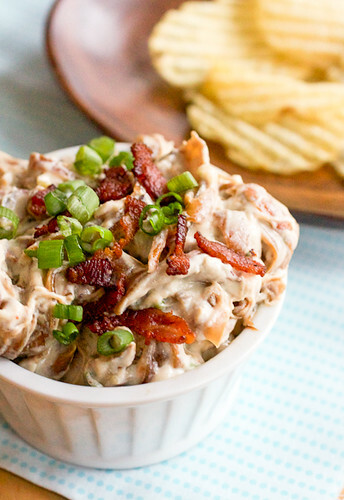 This homemade caramelized onion dip - with bacon and scallions! - IS IT! Stir all of the ingredients together in a medium bowl. Season with salt and pepper to taste. Chill for at least 20 minutes (or up to 3 days) before serving. 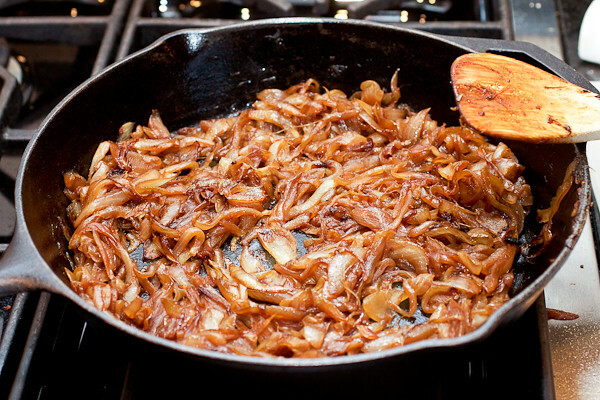 You can make your caramelized onions up to 2 days in advance and keep them in the fridge until you're ready to use them. This sounds really amazing! I am a huge onion dip fan too… and add bacon? HECK YES! Yeah, that looks insanely dangerous! 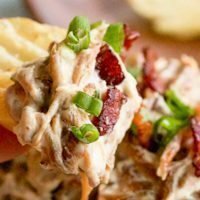 I make onion dip quite often and never thought to add bacon. Looks so good! Can I just tell you that you have been on FIRE lately??!! 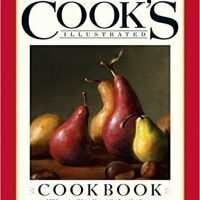 Every single recipe or how-to you’ve posted recently has made me want to rush home (yeah, I’m slacking off at work) and cook! Thanks for all this yummy inspiration! Oh my! What a great looking dip. Pinning this to remind me to make this. Looks delicious! Baconfest 2015 | Is this thing on?